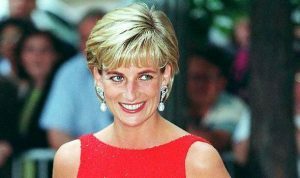 DIANA will return to public consciousness later this year, not that she has ever really gone away, and the person who will have reanimated the late Princess of Wales is a Scot. Douglas Rae, the former journalist, presenter of Magpie and producer of the Oscar-winning movie Mrs Brown is the force behind Ecosse Films which has recently finished shooting Diana (formerly called Caught in Flight) in which Naomi Watts, the Australian actress, stars as the tragic princess in a movie detailing the final weeks of her life. It is unlikely to receive a Royal Gala Premiere at the Odeon Leicester Square in the presence of Her Majesty the Queen However, Diana: The Movie may yet find a lucrative audience among cinemagoers for whom she remains a fascinating 20th century icon, even today, on the 15th anniversary of her death. For many, before the Twin Towers came tumbling down four years later, the death of Diana was their ‘JFK’ moment. People still remember the early- morning phone calls from friends or waking to find their parents stunned in front of the TV set. (I had my feet up on the newsdesk of The Sunday Times in London and was watching Heat starring Robert De Niro on SKY when the first terse PA report dropped about a car crash in Paris.) 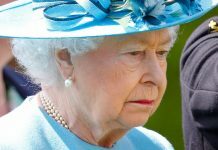 Yet while we all remember the doe-eyed princess with the steely media mind, the image of her alone on a bench in front of the Taj Mahal, or confessing to Martin Bashir that there were “three of us” in her marriage to Prince Charles, the question worth asking 15 years on is what has been her legacy? Clearly, the most obvious answer stands before us: one clutching the hand of his wife in a rural cottage in Anglesey, the other his crown jewels in a Las Vegas hotel suite. 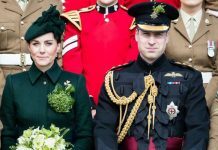 The transformation of Prince William and Prince Harry from the young teenagers who walked in their dark suits down the Mall and behind their mother’s coffin in 1997 to the talented pilots and military officers they are today is a testament to their father and their remaining family. Earl Spencer, the Princess’s brother, spoke at the funeral and urged for them to be given the space to grow into the men their mother would dearly wish them to be. Prince William grew up hating the tabloid Press and photographers whose pursuit of his mother’s car in Paris he blamed for her death, so it is ironic that they now face finally being tamed by the Leveson Inquiry. The first tug of the thread which led to the whole affair unravelling began when Prince William’s phone was hacked, although it was a journalist, ITN’s Tom Bradby, who suggested reporting it to the police. But what of the various charities that Princess Diana supported and what has been her legacy?